that provide examples of leading change in each context. - Application and reflection exercises allow readers to apply the information they learn. 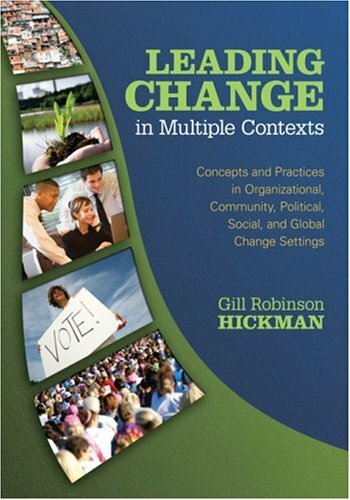 What Kind of Organizational Change Do We Want or Need? What Type of Leadership Do We Want or Need to Accomplish Change? Which Practices Do We Employ To Implement Change? Change Vignette: Is Global Civil Society a Good Thing?